The air quality in Beijing can indeed be “crazy bad.” See above — that’s not even a bad day. There are days when the smog hangs heavy in the air and sits heavily on your chest, to the point that the building across the street you could see perfectly yesterday is completely obscured. Your clothes smell like you’ve been hanging in a smoky bar for hours after standing just ten minutes outside. My school’s only daily announcements were to announce the AQI (Air Quality Index) and whether or not it was safe to have PE classes or sports practices outside. As a rough indicator, we had days that were literally off the charts at 755 PM on a 500 PM scale (PM = Particulate Matter). Face masks were daily accessories and some people sold fresh air in a can. 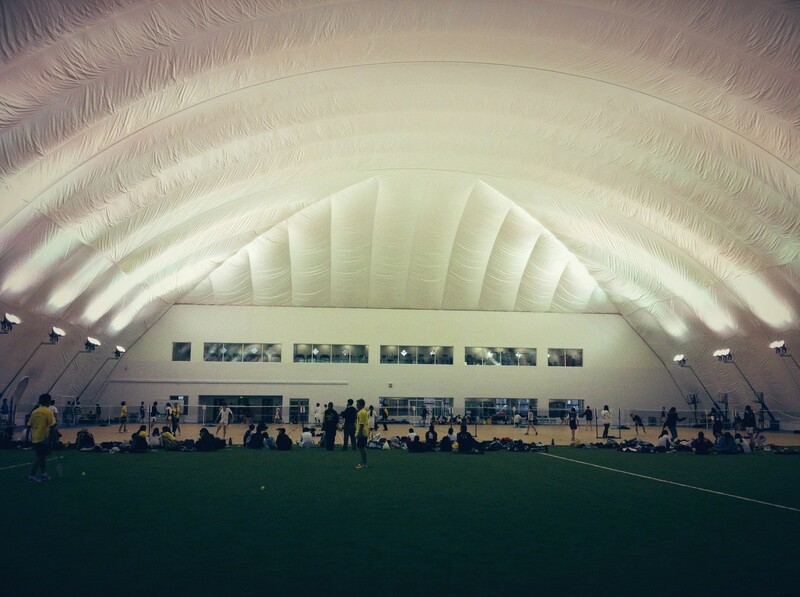 My school was even featured in an article in the New York Times for building a ridiculous (but somewhat necessary) air filtration dome around our sports fields. Coming back to the United States, where the highest AQI measurements usually float around 100-200 PM, I find myself doing a lot of [deep nasal inhale]. A breath of fresh air — free of charge. This past year that I’ve been back in the States, I’ve been spoiled by American internet. Netflix, 4G LTE, social media sites that don’t require a VPN to bypass the Great Firewall of China, and Google results even if I type in “pollution.” As annoying as it was to have to connect to a VPN before posting new Facebook statuses or waiting for wifi in order to check in on Foursquare, the most irritating was doing research for a paper and finding out that the perfect source is hosted on a website that’s blocked in China. The speed and accessibility of American internet is something I’ll never take for granted. We don’t really think much of accessibility in the US (as of late, we’re more concerned with privacy). If we witness something tweet-worthy, we have 140 characters at our disposal. If we want to share a photo of our sandwich, we can choose between 16 filters to make it look artsy and appetizing. There is nothing between what we want to communicate, our medium (ha — like no one’s made this pun before), and our audience. It’s a huge difference in the flexibility of personal expression. I’ve always focused more on the annoyances associated with connecting to the internet when in China, but now I truly appreciate the double meaning of #nofilter. Independence was kind of a funny thing — I could fly 6000 miles alone at age 13, but I couldn’t drive myself to my friend’s house five minutes away at age 17. Many expatriate families had drivers (usually for companies’ legal reasons), so most kids who lived overseas until graduation didn’t learn to drive until college, if at all. The expat community in China also included a huge network of maids who took care of most chores, while jobs were largely unavailable to expat teenagers due to visa regulations and language barriers. That’s not to say that we didn’t learn those skills or seek those opportunities eventually, but they were certainly limited while in China. For me, they were mostly delayed until I returned to the US for college, where I still find that 15-year olds can drive circles around me. After talking with my friends in university who’ve been camp counselors or sales associates most summers (and gone through driver’s ed to get their permit, then their license vs. me getting both my permit and license 3 weeks before college), I value the way in which American teenagers gain self-sufficiency: in increments. Growing up is painful and awkward pretty much anywhere, anytime. Now imagine, in addition to all of the teen angst, frenemies, and unwanted acne, your best friends all moved to the Philippines or the United States just in time for the start of high school. Or imagine that you’ve just found yourself the best group of friends and in that moment you swear you were infinite etc., and the next moment your parents are moving you halfway around the world to Switzerland. 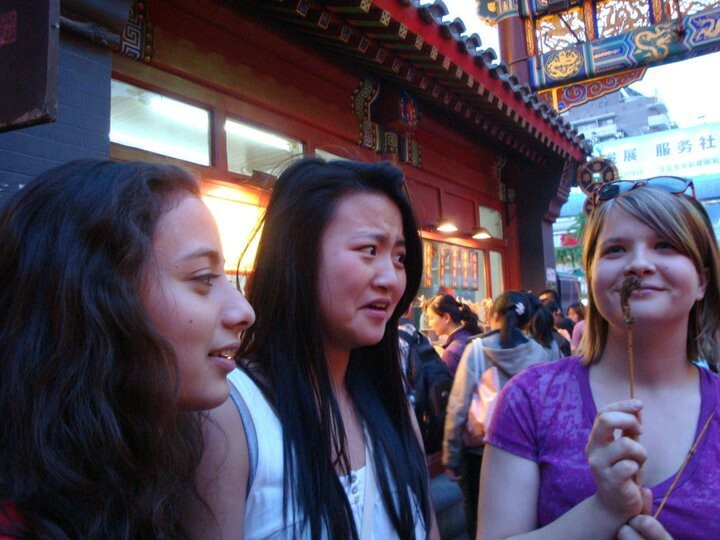 Going to international schools meant that friendships inevitably had an expiration date — or you became really good at long distance relationships and coordinating Skype dates across three different time zones. Sure, there are advantages to having friends all around the world. But it also means that the likelihood of our paths crossing again are relatively slim. I’m jealous of my friends in college who can go home at Thanksgiving or Christmas and see both their friends and their families. For me, it’s always been an either-or situation. But I’m thankful for those friends I’ve made at those casual intersections of our lives. I’ve learned to make the most of the time I have with the friends I make, to appreciate them in the here and now. It makes those serendipitous moments down the road, when we’re able to physically hang out if only for a few hours once a year, all the more magical. It’s taught me develop an alternate definition of friendship not as one that requires seeing each other everyday or spending all summer together to make new memories, but being able to fall into the same conversation and weirdness after months of not seeing each other as if it were the most natural thing in the world. 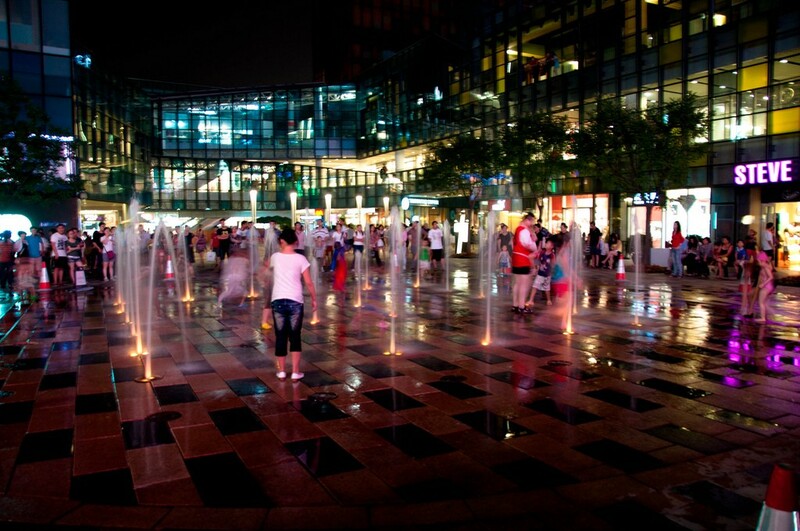 Seeing Beijing develop from the inside was a whole cluster of contradictions: a place where beggars lined up outside foreign embassies and Alexander McQueen stores, and historical hutongs (narrow streets and alleys weaving through neighborhoods) converted into karaoke bars and cafés. The city cycles through buildings, people, and businesses every few months. Even while living there, I could barely keep up with the turnover. 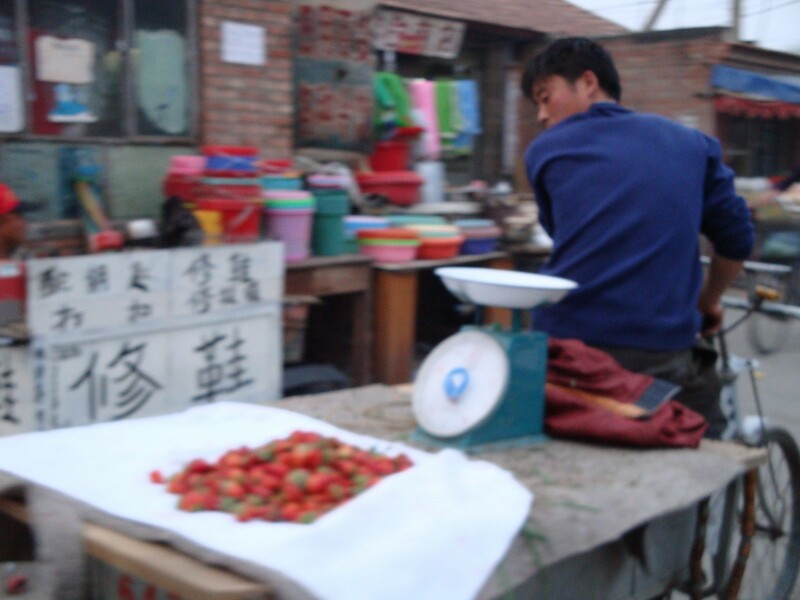 To me, Beijing is the definition of globalization, embodying its advances and its ramifications. Apart from being surrounded by local Chinese culture and language, I was also immersed in the Beijing expat bubble, insulated in a high school graduating class of 164 kids. We were diverse in the traditional sense — a student body coming from “50 different countries.” Though we could boast our international identities as Third Culture Kids, there was still a lot that we had yet to encounter. Personally, I had minimal exposure to things like LGBT issues and mental illness until college (in high school, we only ever really touched on those topics in health class), where fellow students and friends have taught me more than any pamphlet, curriculum, or news article. Growing up in China has always been an interesting set of inconsistencies, a balancing act of freedoms and restrictions on both sides of the globe. Now that I have my feet planted firmly (more or less) back in the Western Hemisphere, it’s taught me the value of certain freedoms in the context of other restrictions.